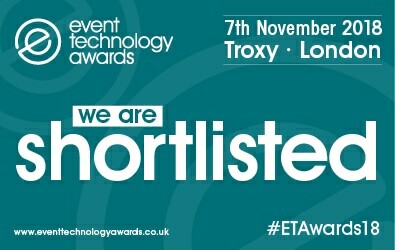 The Event Technology Awards judging panel has shortlisted Circdata in two categories; ‘Best Exhibition Technology’ and ‘Best Event App’. Circdata entered its new visitor event app – FusionVisit– which it launched at CloserStill Media’s New York Vet and London Vet Show in November 2017. The Event Technology Awardsare now in their sixth year and will once again recognise the achievements of companies delivering digital and technological solutions to the events industry. The ceremony is widely regarded as the only networking event that brings together agencies, brands, buyers and suppliers from all event sectorsand will take place in London on the evening of Wednesday 7th November 2018 following Event Tech Live. Circdata’s development team worked in close partnership with the Vet Show portfolio marketing team at CloserStill Media to create a unique visitor app that would have a positive impact on show revenue, improve service levels and enhance the visitor experience. As a result the app served 28,000 user activities in just one day, and CloserStill Media is looking to continue the rollout of the app across its portfolio. Speaking about the development of the visitor event app, New York Vet & London Vet Show’s Marketing Manager, Charlotte Ellicot said: “We are delighted with the functionality of the app, which requires minimal input from our team to offer a seamless visitor experience. It has been an enjoyable process to work with their technical team, who have been responsive and flexible to our needs during the development process.” New York Vet is also up for the Best Tradeshow Launch award.